See how Facebook can help you increase your user community, from creating promotional publications to creating a compelling Facebook page for your marketplace. Due to the number of people buying products from online marketplace is increasing every day, as an online marketplace owner, you have to put emphasis on the increased visibility to your marketplace that can reach an audience of millions with a few strategic and well-planned ideas. The more visibility your online marketplace has, the more likely people within your company will look to you for necessary products or services. And you can use the most popular social media platform – Facebook to give visibility to your marketplace. Facebook is undoubtedly one of the most versatile platforms for advertising your product and company effectively. Sharing details on Facebook will also help support your marketplace and spread your brand’s image. Now, let’s learn how to manage your marketing with Facebook: from creating promotional publications to creating a compelling Facebook page for your marketplace. It is true that when you launch, you are almost alone on your platform. No offer, no request. This is the famous dilemma of the egg and the chicken: to start should I favor the recruitment of salesman or the recruitment of buyers? Keep in mind, these sellers or offerers are probably already active on other sites, other marketplaces or other markets. Once these first sellers are convinced, there will be chances for the start of the first sales. One of the simplest and fastest ways to promote your first sales or your first connections is to leverage the power of Facebook and of course, you can start to sell on Facebook. Actually, online marketplace growth is expected to continue, which is good news for both marketplace owners and sellers because you can leverage the popularity of these marketplaces to reach more people. Facebook also pushes for your marketplace growth with new categories, content and business publishing option. Almost certainly you already know how your personal Facebook profile works. But do you know that it can help you give more visibility to your suppliers, and thus increase their chances of making a successful sale on your marketplace? Let's take a look at how to use your Facebook profile page to start the first exchanges on your marketplace. As a marketplace owner and entrepreneur, you are the official representative of your company and your concept. Your Facebook profile will be your best friend during your first few months of startup. You may surely find your buyers there. However, be careful, it's not about turning your Facebook profile page into an advertising front. You must treat your Facebook profile, your subscribers, and friends with respect. Otherwise, you will lose friends and potentially your Facebook account. Let's be clear, there is nothing wrong with doing a little self-promotion on your personal Facebook profile. Your family, friends, and family will probably like to see what you do as long as you do not spam them too much. 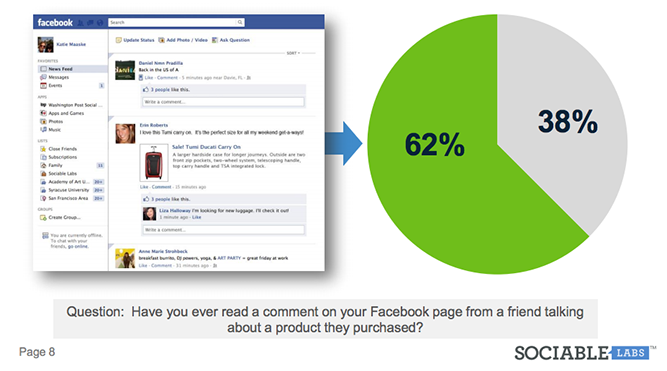 Sharing products with your personal Facebook profile is very effective. 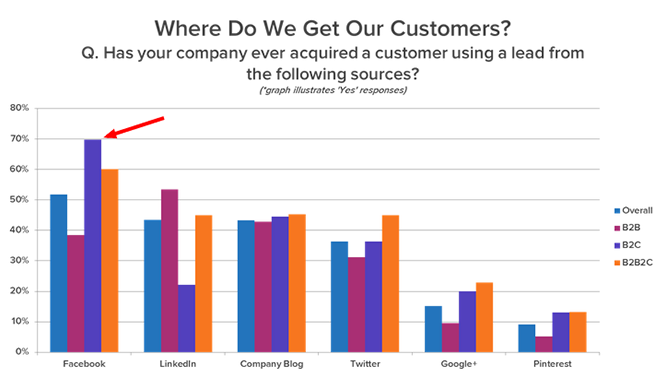 In fact, studies show that over 62% of people read these publications (Source: Sociable Labs and Shopify). During the first few months of marketplace, startup try to update your profile once to twice a week with a link to a product ad on your marketplace which will give more visibility to the products or services of your suppliers. You can also share a press statement about your company. Also, do not hesitate to work on the storytelling of your platform. For example, you can share the topic such as "about us" or "our story", "our concept", etc from your marketplace with a link to your Facebook page once a month. Or copy an excerpt from the text of one of these pages directly into a post, without indicating a link. The history of your company and the ‘why your approach’ are excellent bases of communication for social networks. So spend some time creating a good story. Not only will your network enjoy reading you, but will be able to share it and make it viral. You remain only the master on board even if some indications on your frequency of publication on your Facebook page. If you need to reduce your viewing frequency due to complaints or loss of friends, consider spacing or reducing your posts. In addition, do not forget to continue to use your personal Facebook profile for what it is intended: continue to share photos, articles, news, etc. It is not necessary that your personal profile should be the reflection of a business page. Your posts about your marketplace should be the echo of important events that may interest your friends. Use the Facebook pages as these are designed for businesses, brands and other types of organizations. These pages are designed specifically to promote your online business. That's why it's important not to over-advertise your platform on your personal Facebook profile. Also, since some of your Facebook friends will also be fans of your page, make sure you do not post the same content on your profile and page on the same day with each type of support its objective. When it comes to your personal page, the slogans are so "subtlety" and "parsimony". But finally, back to the Facebook pages! With Facebook pages, only people who liked your page will see your posts and updates. In adsense, these people have given you permission to advertise. You can utilize your marketing strategy more effectively because you are not in a situation of spam. Please do not create a personal profile for your business, but create a Facebook business page. Certainly, you would miss out on all the content creation tools, the promotional opportunities (Facebook ad), as well as the analyses and suggestions that accompany a Facebook business page. In addition, a personal profile would require that people send you friend requests to engage you, and the last thing you want to do is to make it more difficult for your customers, isn’t it? On your Facebook page, highlight your marketplace, your marketplace SEO and its products exactly as you do on your Facebook profile, with publications and links to ads, press reviews and stories about your business. We have already said that, at first, it is very likely that your Facebook page does not have as much effect as your profile. But the important thing is to keep it regularly updated, and then it will bear fruit in time. Yes, visual content is the primary requirement for any online existence, including social media. 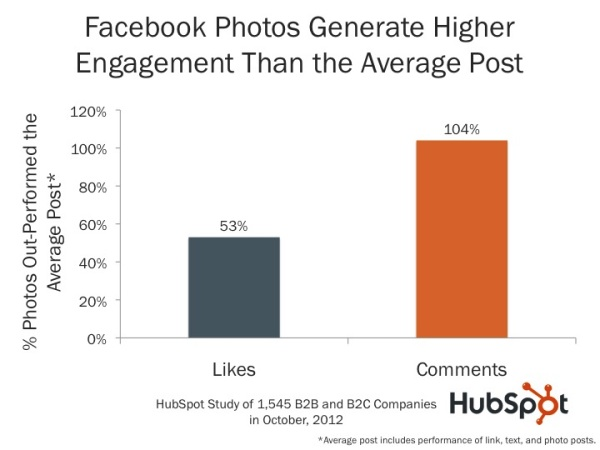 Keep in mind that photo publications are 40 times more likely to be shared than other types of content. The photos are a great way to capture moments and give a specific look at the activity of your marketplace, and also think about the medium terms to invest a little time for the realization of video resources, which are even more engaging. In order to get more engagement from your fans, bet on publications that are not directly related to the purchase of products or services that can be found in your marketplace. Some of the ideas of publications mentioned above will probably have nothing to do with your brand in itself. Nevertheless, they will establish a stronger relationship between your brand and your fans (those who liked your Facebook page). Try to avoid promoting your marketplace SEO and the products or services that are already found there. Rather promote a vision, a lifestyle, a passion, an expertise, a marketplace community. And this, while listening to your audience, make sure you respond well to comments and messages addressed to you (even be it negative). Facebook allows the creation of private, public or "secret" thematic groups, which allow its members to discuss and exchange on specific topics. Some of the groups can be - professional groups, groups of friends, student groups, beauty sales groups, groups of gamers, thermomix groups, groups of moms, etc. Depending on your interests, where you live, which pages you like, which groups your friends belong to, and your profile information, Facebook offers you to join new groups that might interest you. When you enter a new group, you can post a message, a question, a photo, a video, or a file. It is your personal profile that is used when posting to a group. 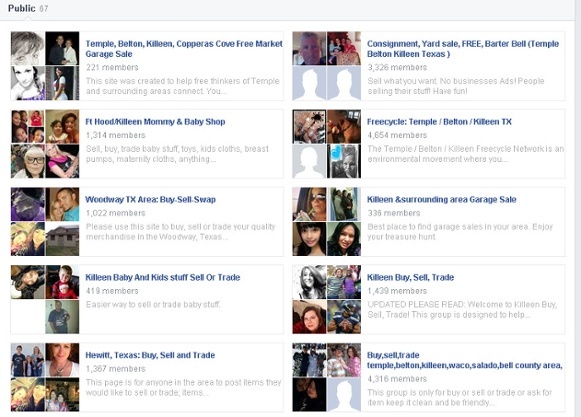 Some groups are openly dedicated to selling products. In that case, why not take the opportunity to promote some of the offers on your marketplace and sell on Facebook? Or you can just share your expertise by answering the questions of others in a group. You will gain credibility within the group and members will think more easily when you want to buy. Even though the SEO effectiveness of the groups is less important than that of the brand pages, the targeting can be finer. Indeed, the members are generally fewer and you will know their needs and their problems. Thus you access the interests and concerns of a passionate audience by a field related to that of your marketplace. Here you will find potential customers, prescribers, but probably also a source of inspiration and even areas of improvement for your platform. Then, why not consider creating your own Facebook group? Definitely, you should create your own Facebook group which will consist of dedicated marketplace members (sellers and buyers). They are people who believe in your company, its products and your vision. Brands like Canva, for example, have created loyal fan groups that now play the role of ambassadors for the site. Hope above discussion will help you manage your marketing with Facebook quite effectively. So take up this free advantage and start using this powerful and popular social media and give visibility to your marketplace. Get by in the competitive online marketplace business.